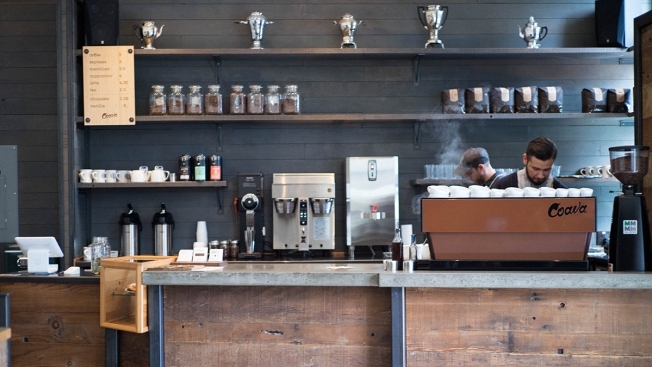 Portland's popular Coava Coffee Roasters is soon expanding to San Diego. Eater San Diego shares the top stories of the week from San Diego’s food and drink scene, including word on a Portland coffee roaster's entry into San Diego, plus a look at some fresh, new restaurants planned for Westfield UTC. Coava Coffee Roasters, a popular craft coffee brand from Portland, will open its first location outside of the Pacific Northwest -- this time, in downtown San Diego. Landing in April in The Westin San Diego, the coffee bar will also offer beer, wine, and food. Joining big-name brand Shake Shack this fall at the redeveloped Westfield UTC complex will be a slew of high-profile eateries including dumpling palace Din Tai Fung, True Food Kitchen and another outpost of upscale diner Great Maple. Slapfish, a popular fast-casual eatery with a seafood-focused menu ranging from fish tacos to lobster rolls announced its intent to open five locations in the San Diego area, with the first aiming to open by this summer. This chain has been called the "Chipotle of seafood." Many local restaurants have been stepping up their drink programs, enlisting talented bartenders to create progressive cocktail lists to pair with seasonal menus. Eater's guide showcases restaurants that are worthy of a visit for their drinks as much as their food. The Pearl Street eatery has reopened more than year after a kitchen fire forced it to shutter. The location is the first-ever Sammy's Woodfired Pizza & Grill, originally opening in 1989. A grand opening celebration is scheduled for Monday, January 30.